4 years full-time or part-time equivalent up to 10 years maximum. Aerospace systems engineering involves a systems approach to the design, efficient operation and modification of high-tech devices for the aeronautical and defence industries. A key challenge for the development of aerospace systems is the need to be as light-weight as possible, yet highly reliable. What is aerospace systems engineering? Aerospace systems engineering is about understanding and controlling the response of aerospace structures to complex interactions using a broad range of technologies. Students can focus on aircraft structural design and high-performance materials or concentrate on the control of complex interacting aerospace systems. Real-world insights: Connect with industry through projects, guest lecturers, and mentoring. Flexible programs: Choose up to 4 courses from areas such as business, product/industrial design, or entrepreneurship. Use these to diversify your studies! Aerospace engineers are typically employed by national and international airlines, aircraft design and manufacturing companies, airworthiness organisations and the Australian Defence Force. They work on the design, manufacture, performance monitoring, regulation, testing, repair, maintenance and upgrading of aircraft. They can work in research and develop new technologies for aviation, defence systems and space exploration. They may also be involved with procurement, regulation, safety, and certification. With the selection of appropriate courses in their elective pathways, UON Aerospace Engineering graduates will also be well equipped to take up opportunities in systems engineering, mechanical and mechatronics engineering in other industries. Various positions within aircraft design and manufacturing companies, Australian and international airlines, airworthiness organisations and the Australian Defence Force. All UON engineering students have the opportunity to complete 12 weeks of industrial experience during their degree. This can be completed in one block or as shorter placements of no less than two weeks. Through your work placement you’ll build important professional networks and put your learning into practice. Pick your situation from the list below for more information. If you are an international student, read the information below before completing an application. As someone who recently completed secondary education, either at high school, TAFE or another VET provider, you will generally be considered for entry based on your Selection Rank (SR). Some degrees have additional entry requirements such as auditions or interviews and where required you will find these listed on the relevant degree page. Most of our degrees also have some assumed knowledge and recommended studies so check this before you apply. Try to choose what you are most interested in and then research some back up options with lower Selection Ranks (SR) to put as your later choices. A good tip is to look at degrees that may have similar first year subjects. This will help you reduce your overall study time if you want to apply to transfer over to your degree of choice after the first year. But Selection Ranks (SR) do change from year to year so you should only use the Selection Rank (SR) as a guide. You can apply for degrees with UAC before you complete your exams and have your Selection Rank (SR). You should apply as an early bird to avoid additional costs. Once you have applied you can change your preferences as many times as you like before the change of preferences deadline. This means you can change your preferences around once you know your Selection Rank (SR). For more information see our Application FAQ. Get up to five adjustment points (previously called bonus points) if you went to rural and regional schools in selected postcodes. Get an offer to study based on your performance in the HSC in subjects related to UON degrees and your Selection Rank(SR). Get up to four adjustment points (previously called bonus points) for your HSC results in particular subjects. Motivated and talented students who fall short of the marks for entry can apply for an early offer through the SRS. Get up to four points if you have experienced educational or other disadvantage. Get adjustment points (previously called bonus points) and support by applying as an elite athlete. Get a second chance for entry by completing our one year Newstep program. Get entry help by identifying you are of Aboriginal or Torres Strait Islander descent or complete our one year Yapug pathway program. If you completed VET studies as part of or in addition to your HSC you may have another assessable qualification for admission. The selection rank from this qualification is not added to your Selection Rank (SR). The highest of the two numbers will be the one used to assess your eligibility for admission in most cases. UON accepts the IB Diploma and Bilingual Diploma as equivalent to an Australian Year 12 qualification. UAC will derive a selection rank from your total IB score and for UON admission purposes this rank is comparable with the Selection Rank(SR). To see how your selection rank is calculated visit UAC’s website. For advice on your options or how to order your preferences please contact us by calling 1300 275 866 or visiting AskUON. Secondary results don’t have a use-by date, so even if you completed high school 20 years ago, these results may be used to apply to UON. You can use your ATAR or equivalent (UAI, TER etc) to apply irrespective of when you completed Year 12. It can be complicated to calculate your Selection Rank (SR) based on high school results prior to the introduction of the ATAR in 2009. Contact us at 1300 275 866 and let us do the calculating for you. Complete this one year or six month program to get a new mark for entry. Get entry help by identifying you are of Aboriginal or Torres Strait Islander descent. Get adjustment points and support by applying as an elite athlete. Complete this test for a mark for entry into some of our degrees. For advice on these other options please contact us by calling 1300 275 866. If you studied vocational education and training, the type of qualification, whether or not you completed it, and if it was graded or competency-based will all be taken into consideration to assess your eligibility for admission. TAFE and private providers, as well as some universities, typically offer Certificate III, IV and Diploma Australian Qualification Framework (AQF) awards. Some also offer Advanced Diploma and Associate Degrees. For admission purposes, and to ensure fairness and transparency among applicants with different types of qualifications, all assessable qualifications are converted to a selection rank. Selection ranks from different individual qualifications are not combined or added together to form a rank. The highest of the two numbers will be the one used to assess your eligibility for admission. Different selection ranks are assigned to VET courses with graded assessment and competency based (ungraded) assessment. The tables below provide information on how to assess your selection rank based on your AQF qualification. UON offers guaranteed admission to a range of programs for applicants who have completed a Certificate IV, Diploma, or Advanced Diploma. For more information, visit TAFE Guaranteed Entry. Note: Incomplete VET studies must be AQF Diploma level or above and more than 0.2 of a full time student (FTE) to be considered for admission. It is probably best to contact our Enquiry Centre on 1300 275 866 to discuss your qualifications and grades. Our team are happy to advise you on your options. Your previous qualifications may also make you eligible for credit to your degree. This will cut down on your study time. You can apply for credit before you start. See our credit section for more information. If you completed higher education or partial higher education studies your grade point average (GPA) (or Grade Average as a percentage for pathway programs like Newstep, Open Foundation or Yapug) can be converted to a selection rank to be used for admission purposes. To ensure fairness and transparency among applicants with different types of qualifications, all assessable qualifications are converted to a selection rank. The selection rank from this qualification is not added to your ATAR. The highest of the two numbers will be the one used to assess your eligibility for admission. If you have completed a degree and want to move onto postgraduate study please see our Postgraduate website. *Your GPA can only be calculated if you have completed at least half of a full-time study load. A full-time study load is usually 40 units a semester. 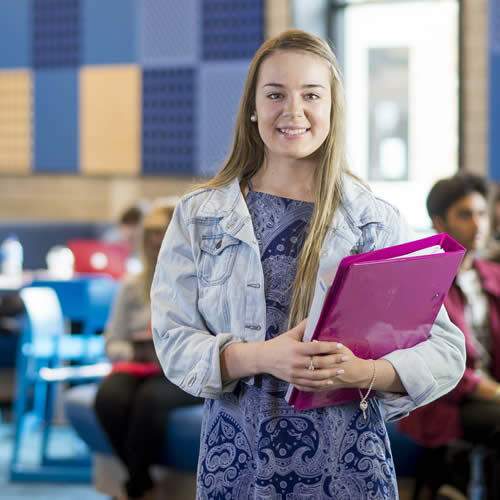 If you are currently studying at UON and want to transfer across to another degree or if you have completed UON a pathway program in the previous year you can apply with us directly. See our Internal Transfers page for current students for more information. If you want to transfer or completed a tertiary preparation program at another university you will need to apply through UAC. Please contact our Enquiry Centre 1300 275 866 for information and advice. If you think you may be eligible for credit please visit our credit section. If you’re applying on the basis of overseas secondary qualifications, there are some that are considered as equivalent to an Australian Year 12 qualification. Note that equivalence of qualifications alone does not guarantee entry into programs. For admission purposes, and to ensure fairness and transparency among applicants with different types of qualifications, your overseas qualification will be converted to a selection rank so you can be compared to other applicants. For advice on your options please contact us by calling 1300 275 866 or visit AskUON. If you are aged 18-20 you can get a second chance for entry by completing our one year Newstep program. We recommend putting this as your fifth UAC preference. If you are an Aboriginal or Torres Strait Islander student you could complete our one year Yapug pathway program. The Special Tertiary Admissions Test or STAT is an aptitude test, organised through the Australian Council for Educational Research (ACER), that assesses a range of competencies considered important for successful tertiary study. If you are over 18 and not a current Year 12 student, results from the STAT multiple-choice test can be used for entry into some (but not all) of the degrees offered at UON. Make sure you look into which degrees accept STAT for entry. If your qualification is not listed and you are unsure whether you can use it to gain entry please contact us on 1300 275 866 or AskUON. If you want to do one or two subjects at UON but not a full degree you can apply for non-award admission. You may want to do this for preliminary work for a higher degree, professional requirements or because of an interest in the area. Find out more and apply by visiting Non-Award Admission. If you are currently at another university and want to do one or more subjects at UON for credit you can apply for Cross-Institutional Study. Find out more and apply by visiting Cross-Institutional Study. Further education like diplomas and university study can also be assessed for admission. Some of our programs have additional requirements like an audition, or portfolio. Applicants who do not speak English as a first language must demonstrate that they meet the University's English proficiency requirement. Further information regarding English language proficiency requirements can be found at the English Language Proficiency for Admission Policy. 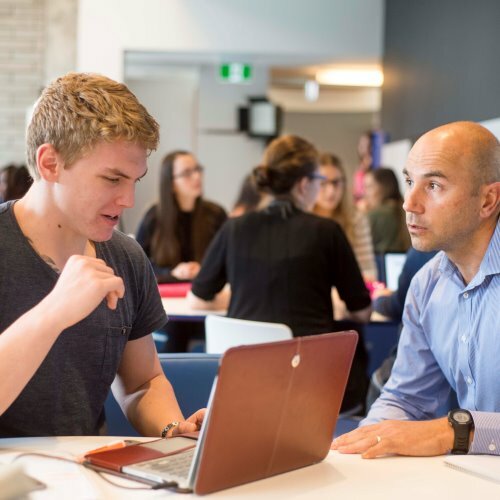 For international students who do not meet either the language or academic requirements for entry into an undergraduate program, a range of pathway courses are available. Newcastle International College (NIC) offers a fully-accredited pathway to UON degrees if you do not have the academic requirements for direct entry, or would prefer to study the first year of your undergraduate degree in an environment especially designed for international students. 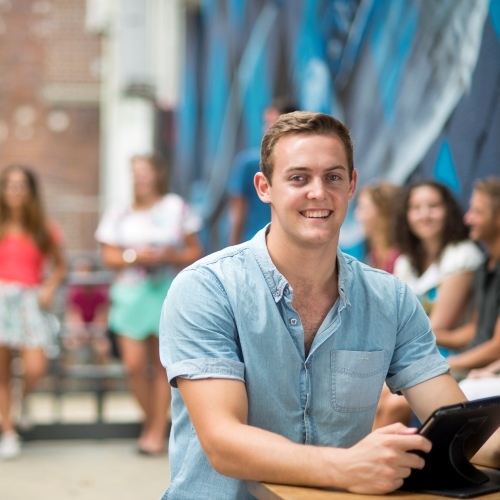 Students who have completed university-level courses at other institutions may receive credit for that coursework at the University of Newcastle. These credit transfers could help you complete your degree earlier or study new subjects rather than repeat prior learning. Most often, we award credit to students who have completed Diploma programs or part of a Bachelor degree. Credit transfer and Pathways provides more information on applying for credit. The Australian Government operates a student visa program that enables people who are not Australian citizens or Australian permanent residents to undertake study in Australia. A person who wants to undertake a course of study under the student visa programme must obtain a student visa before they can commence a course of study in Australia. A successful applicant must be both a genuine temporary entrant and a genuine student. An applicant who is a genuine temporary entrant will have circumstances that support a genuine intention to temporarily enter and remain in Australia, notwithstanding the potential for this intention to change over time to an intention to utilise lawful means to remain in Australia for an extended period of time or permanently. All Australian education providers must have strategies and arrangements in place to ensure that all students and prospective students meet the requirements with Direction 69 as a condition of admission to the institution. When your application for admission is received, the University of Newcastle will assess this against university entrance requirements including: minimum age, English and academic entry requirements. 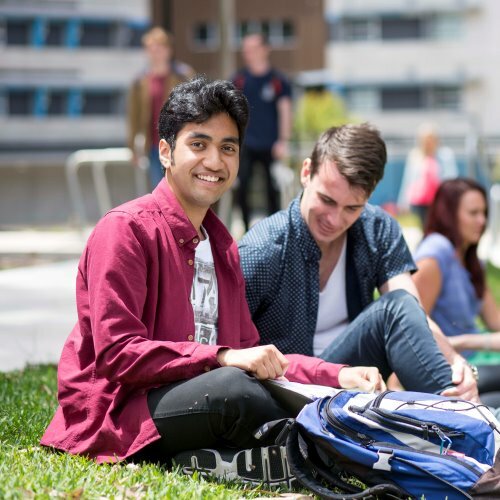 To comply with Australian law your application will also be assessed to check that you are genuinely seeking temporary entry to Australia to study. You may be asked to provide the University of Newcastle with evidence addressing Ministerial Direction 69 as part of finalising your admission. If the University forms the opinion that you are not a Genuine Temporary Entrant (GTE) it may refuse to assess your application, withdraw an offer of a place, or cancel your confirmation of enrolment. The Department of Immigration and Border Protection in Australia will also assess each application for a student visa (subclass 500) against the applicant’s intention to stay temporarily in Australia as a genuine student. The criteria for this assessment are outlined in Ministerial Direction 69. Applicants that don’t satisfy the criteria under Direction 69 will not be granted a student visa. 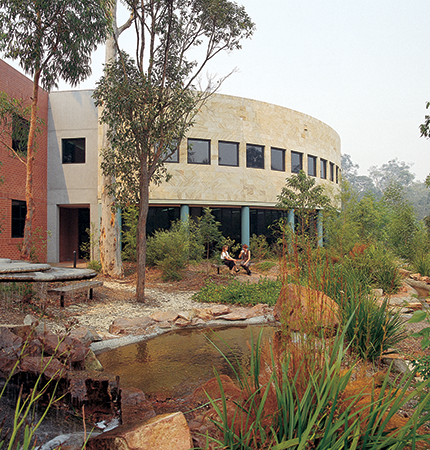 Admission to this program is available to Australian students and residents. 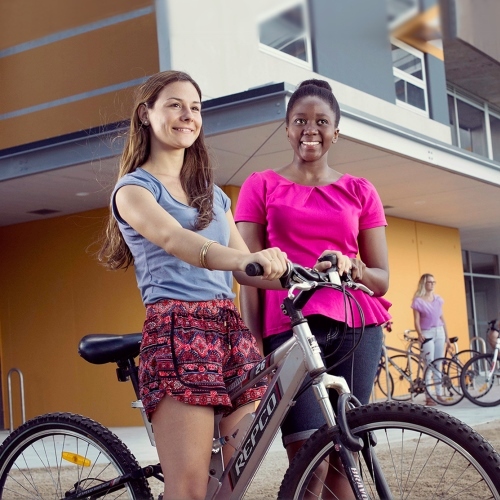 Admission information for Australian students and residents is available online here. During the admission process adjustment factors may be applied to your Selection Rank. Please visit our website to see if you are eligible. Your degree includes either compulsory or optional courses in maths. To maximise your likelihood of academic success, it is recommended that you select the course which matches your existing knowledge and understanding of maths concepts. Answer a few questions now to find out what mathematics you should enrol in. HSC Mathematics (Band 5 or above) or equivalent. Study of one science-related subject would be an advantage (Biology, Physics or Chemistry preferred). Applicants who have achieved less than HSC Mathematics Band 5 may be admitted to the program but may need to complete additional study to successfully complete the requirements of the program. Applicants who have completed HSC Mathematics General 2 may be admitted to the program but can expect to undertake additional studies to successfully complete the requirements of the program. HSC Mathematics Extension 1 or equivalent. Study of one science-related subject would also be an advantage (Biology, Physics or Chemistry preferred). Requirements for qualification of this award include completion of at least 12 weeks of industrial experience of a nature acceptable to the Faculty Board. Students are encouraged to obtain and to report on a substantial block of this experience at one time but several shorter periods not less than 2 weeks duration will be accepted. Further information on industrial experience is available here. You should also think about degree add-ons like combined options or a Diploma in Languages. If you would like to learn an additional language alongside your main bachelor degree, then this program is for you. Languages offered include: Australian Sign Language (Auslan), Chinese, French, German and Japanese. Apply to study this degree through the Universities Admissions Centre (UAC). You can select up to five preferences in your UAC application, so have a look around and select some back-up options. Put the degree you are most interested in first.